Throughout the 17 years working in the property industry we have continued outstanding results in helping clients in all property aspects and offering a high standard of professionalism throughout all transactions. When dealing with this office, clients can be assured of a friendly and professional service confident in the knowledge that their requirements will receive our undivided personal care and attention. We’re always prepared to go the extra mile to ensure satisfaction with clients. We believe that honesty and integrity is the cornerstone for a successful business and that our clients have a right to expect nothing less from their Auctioneer. Fully bonded with professional indemnity cover. Member of The Institute of Professional Auctioneers and Valuers. 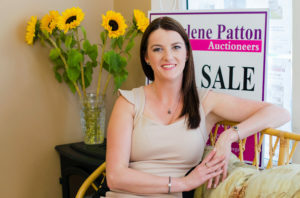 Charlene Patton Auctioneers was established in 2008.